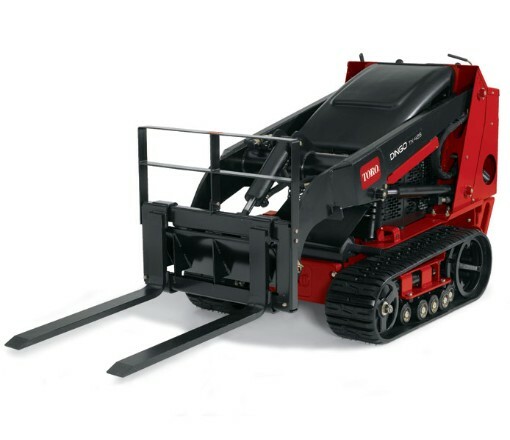 Looking to rent a hydraulic fork attachment for the Toro Dingo in Rochester NY, Ithaca NY and Western New York? The Hydraulic Fork Attachment is a widely respected Tool Rental item. Excellent attachment tool rental item for helping to plant trees and shrubs. Widely respected by professional landscapers for efficiency in transporting trees and shrubs across a job site or yard. Features 2 forks with a hydraulic cylinder.